The responsibility of caring for an elder loved one can be frustrating. Most people lack the time or the experience and confidence to effectively do what is necessary. Living Well Senior Solutions is here to help. We will work with you to find answers and make connections with health-care partners to give you the peace of mind. 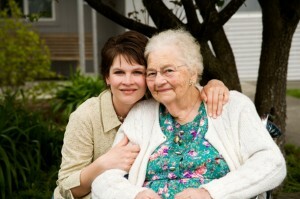 You will know that your elder loved one will receive the appropriate care and services to meet their individual needs. Wondering if your loved one is living well at home on their own? Check out the signs that an elder may need help. Living Well Senior Solutions helps alleviate stress and worry about those options for seniors and their caregivers. We provide as much or as little care management as meets your needs and our services span a wide range of needs including: providing answers on Medicare and insurance questions, helping with the transition back home or to assisted living / rehab facility after surgery or a hospital stay, 24 hour nursing care or even accompanying you or a loved one on a doctor’s visit. We will help you find answers and connect you with healthcare partners, so that your loved ones receive the appropriate services and programs to meet their individual needs. For you that adds up to peace of mind that your loved one is getting everything they need. We’re here to help you decide the best care options for you or your loved one. Just contact us at any time. You can download our brochure to read and keep on hand. Complete this information request form, call us at (513) 561-0222 or send us an e-mail. Many people who suddenly find themselves in the role of a caregiver did not prepare in advance with information that could save time and eliminate the stress of gathering information while in a crisis. The “Planning Ahead Guide” will take you through the steps you should take and the information you will need before the time comes. Click the button below to receive the the guide by email.